Note: As an anti-piracy measure, this update will ask for your keyfile again. Also, remember that you don't need to download all the earlier updates first as this one will update all versions of the full game. Download and unpack the update archive above using lha (do not use OS3.9's unarc command - see FAQ). If you intend to play the game using hardware acceleration, make sure you download and install Warp3D v4.2 above. Double click on the 'UpdatePayback-[Language]' icon and follow the on-screen instructions. Note that when the PPC version of Payback is run for the first time using software rendering it will automatically generate the gouraud shading lookup tables. This will take about 10 minutes and will consume an extra 8 MB of disk space. You can flick back to the Workbench screen by pressing Amiga-M to see how much longer it's going to take. Improved water textures when using hardware acceleration. Made the 68k version faster. Unfortunately, the side effect of this is that 68k replays won't work on PPC machines (and vice versa), but I think the speed increase is worth it. Vehicles can now be added to custom maps. Added high score tables to rampage mode. In multiplayer mode, your kills will now go negative if you commit suicide with zero kills. Added sparks when two vehicles scrape against each other. You now loose a point if you commit suicide in multiplayer mode. Added gouraud shading to the water effect when using hardware acceleration. Optimised the code a bit, particularly the rotating view when running under hardware acceleration. Fixed the stereo panning when using the rotating view. Added more lights to some parts of the night level to brighten it up a bit. Added support for custom textures in user maps. Added map preview to rampage and multiplayer setup screens. The game now automatically scales up the fonts and icons used by the game at resolutions of 640x400 and above. Funky new background picture on the title screen. Your character will now automatically walk to the other side of the car if you accidentally try to get in the wrong door. Volume control added. Set to 0 to disable audio mixing for an extra speed boost. Repeat last message feature added. Vehicles can now be dented. Added a splashing sound when you walk through a pond. The game will now change your weapon when the ammo runs out. The passengers now scream when you hijack a bus. Grass, sand and some building textures improved. Screen scaling support (press +/- to scale the screen). You can now do J turns. Other drivers now get themselves out of snarl ups. You can now set fire to buildings with the flamethrower and bazooka. The stars used on the 'wanted meter' and the phone and pager images have been improved. Fixed a (very rare) enforcer hit. Brown cars now have brown doors (rather than yellow ones :). Selecting and removing objects in the Map Editor now works properly. Updated Spanish, Czech and Polish language files. Removed boat from first level because there were a couple of bridges that would cause it to jump up in the air when you tried to go under them. I could have fixed the bridges, but I figured that the first level was too soon to introduce the boat anyway, so now you'll have to wait till you get to the last level instead! Driving a remote controlled car into water would disable all the players controls and make the game look at a different vehicle. Fixed now. If someone's remote controlled car was blown up by another player then the owner of the remote controlled car would have their controls disabled and their view would be forced to look at a different vehicle. If anybody but player one got into the boat in multiplayer then they would loose control of their character. Fixed a bug in the map editor which meant that the routing mode didn't work properly in resolutions above 320x200. Not enabling player 1 in multiplayer mode could cause input problems in both single and multiplayer modes. Fixed now. Fixed a bug in the map editor which made it impossible to select beyond the first row of custom textures. The background image and water wouldn't be displayed on Voodoo3 boards when using Warp3D because the texture was too large. Fixed now. Fixed the stability problems with the PPC version. The water wouldn't be displayed when using software rendering with gouraud shading enabled. This was because I forgot to include an updated alpha channelling table in Update 4. Fixed now. The game could crash if you tried to fly the helicopter outside the city. Fixed now. Fixed a few small mistakes in the Italian, Czech and Dutch language files. Fixed a problem that meant the helicopter couldn't take off sometimes. Fixed problems with the hardware accelerated version which could occur if the screen had been scaled down. Fixed a bug that made it impossible to redefine the single player controls if you were using a PSX or CD32 pad that wasn't plugged into port 0. Peds now get into vehicles properly even if they're on the wrong side. If you loaded a replay which was recorded on a custom map then the game would crash. Fixed now. The game could hang if you didn't select a device or unit on the CD setup screen. Fixed now. 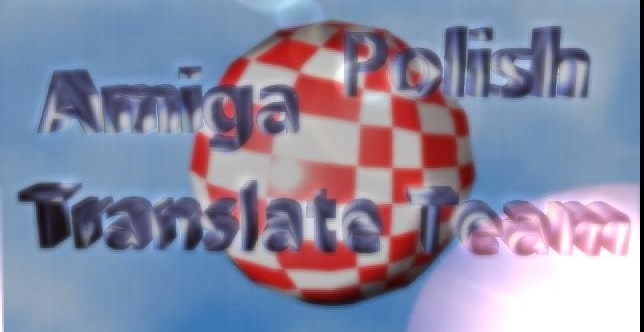 I accidentally used some Amiga Polish Translate Team files in the Polish translation included in Update 3, rather than the improved ATO versions. Fixed now. A bug on the level select screen in single player mode allowed the player to select any level they wanted by using the joystick in a certain way. Despite rumours to the contrary this wasn't an intentional cheat so I've fixed it in this update. Fixed a bug that caused the map editor not to save the 'weather' setting when making custom maps. Improved collision detection with scenery objects such as traffic lights. If you installed Update 3 before running Payback for the first time then the default control settings could be lost which could cause the keyboard as well as PSX and CD32 pads to work incorrectly. Update 4 restores the defaults to fix this problem. If you positioned your car near a building in the earlier versions then you could get out on top of it. Fixed now. Made it easier to control your vehicle when going downhill. Total rewrite of the Polish language files by the ATO. Getting out of boat bug fixed. A couple of minor aspect ratio bugs fixed on the multiplayer results and view replay screens. You can skip the intro with a PSX pad. The score display would disappear if you got more than 9,999,999 points. Fixed now. Ramming vehicles could cause certain missions to go wrong - now fixed. Fixed a bug that caused replays on the second, fourth and sixth levels to go wrong. The English version of the install script included in Update 1 had been accidentally replaced by the Italian version. Fixed now. Fixed a bug that could cause the game to crash if you played a single player game after playing in rampage mode. Increased maximum number of lens flares to avoid problems with the 'Gettin' High' level (see the Extra Maps section). Missing phrase 115 on first level when language set to Czech added. Setpatch removed from startup script because it caused problems on some machines. Now checks that device(s) plugged into PSX port are controllers before treating them as such. PSX and CD32 controller reading bugs on title screen fixed. Added 'NOROMUPDATE' to setpatch to avoid reset problems on some systems. Missing phrases for 'grenades on roof' mission on final level added. If you did certain things on certain missions, it was possible to stop the game giving you any new missions. These should be fixed now. Added extra checks to avoid the Enforcer hits that could happen on some systems. Fluctuating high framerate bug fixed. Added ability to enter underscore ('_') characters in the 'device name' on the CD audio setup screen ('budda_atapi.device', for example). Fixed a bug that could cause texture filenames to be occasionally misread causing the game to complain that the texture did not exist. People now have volume, i.e. you can't get quite so close to walls. Guards now can't see through walls. The rain wasn't drawn properly at high resolutions. Fixed.